A Louisiana farmer named Jedidiah receives a vision giving him the information to grow and harvest human organs. His children, Zeke and Andrea, who left the farm years ago, returns upon his request to help him take care of things. The farm is now a super-high-tech, booming business that gives organic transplants to people in need. But with that success come malicious adversaries trying to steal Jed’s work. Unfortunately for Zeke and Andrea, Jed may not be as guiltless as they thought. The holiday season is here, and that means a lot of people are visiting family, some unwillingly. 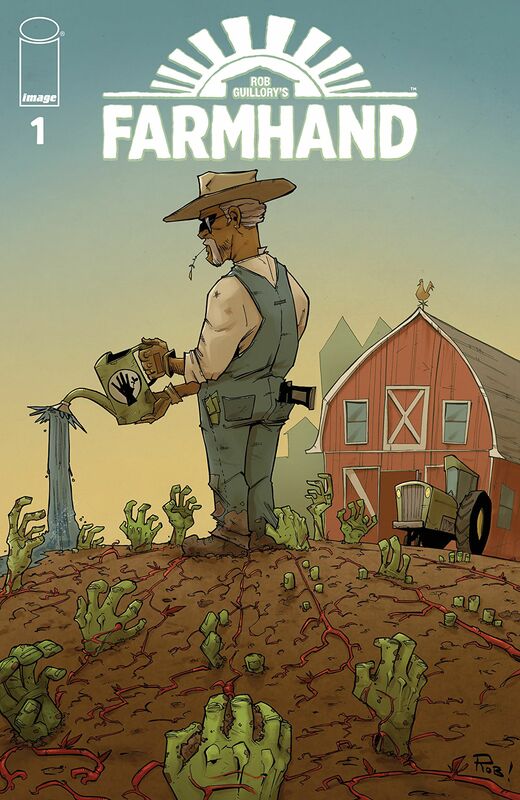 Farmhand is a great story about family controversy and secrets you can project your own issues onto—author and artist Rob Guillory (Chew) just threw in some sci-fi and horror elements to make it unique. Under all those hairy scalp bushes and radical plots to take down the farm, there are still typical family issues. Here are a few thematic reasons why “going home again” was never an option for Zeke and Andrea Jenkins. My number-one attraction to a story is a well-written and complex character. There are plenty in the superhero genre alone: take the Punisher, Catwoman, and Deadpool, to name a few. 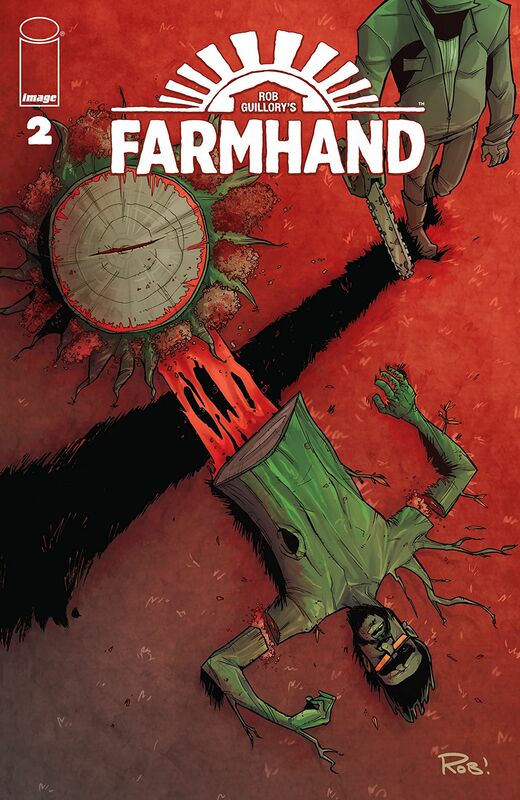 Farmhand’s Jedidiah Jenkins is a mere mortal, but there’s no doubt the conflicts of this series are nurtured by his savior complex. He’s just an older man who wants to give transplants to those who need or want them. Many of his customers were deformed by freak accidents, which he makes sure to remember to connect with them. It sounds so sweet and wholesome; however, when it comes to the savior complex, it doesn’t matter if motives are innocent. Jed and his children, grandchildren, and employees, not to mention many civilians, are negatively affected by his methods. Even though this is a sci-fi series, the world outside of Jed’s research and applications seems mundane. When it comes to something as supernatural as growing body parts from plants, you can bet your vegetative backside there are seedy people involved. Whether they’re terrorists, spies, the government, or gross politicians, people of power want some piece of Jed’s work. What fosters these threats is Jed’s willingness to do dirty work to cover up his own behind. Guillory makes sure to imply that Jed is not always the good guy not only with dialogue, but with his signature art as well. By adding heavy facial shadows to several closeup panels, even leaving some pupil highlighted amid the dark, we’re left to question Jed’s morality. It’s a great way to keep us on our toes. Jedidiah has a lot of family history that he is not telling his children, some of it as recent as Zeke and Andrea’s childhood. Unfortunately for them, they can’t shake the Jenkins family reputation while trying to live their own lives. 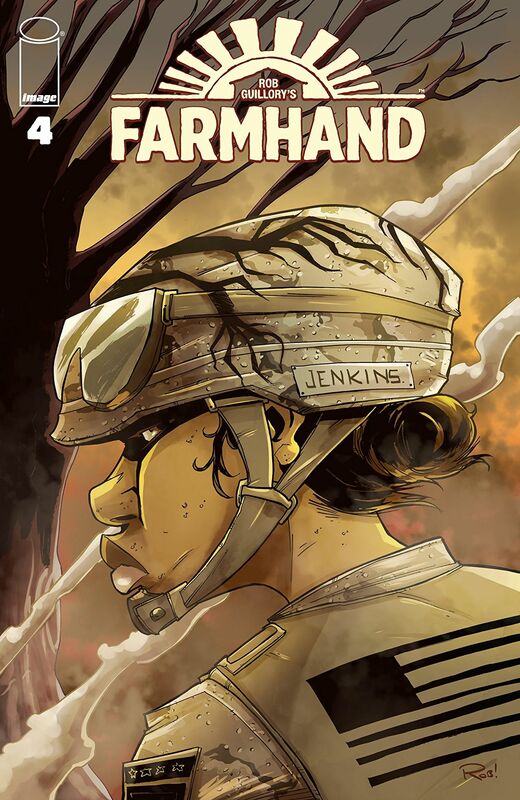 Both siblings had left the farm and pursued their own ambitions: Zeke is an award-winning comic book writer, and Andrea served on the battlefield in the US Army. From their interactions with their father, especially in the case of Zeke, we learn they left the farm with bitter feelings toward him. Jed even tells Zeke that he does not blame him for leaving. After their return, both siblings are subjected to the animosity from the townspeople who dislike Jed—and they dislike him for good reason, honestly. Jed has done some great things with his work, but a lot has been at the expense of the town. People got hurt on the job, got caught in terrorist crossfire, and had to deal with tainted soil (it is a farming town, after all). Andrea returns to town to help their dad, and Zeke follows a few years later, neither of them expecting all the hostility from the haters. Zeke is notably bothered since all he wanted to do was relocate his wife and children to a hometown he thought was safe. There is a flashback in issue #4 where Jed tells a younger Zeke that at times he needed to “defend your land.” Back then Zeke assumed his dad just meant coyotes coming to eat the chickens. After he experienced and heard some horrific details that Jed did not disclose to him, however, he and Andrea are left to deal with the backlash. The repercussions of their father’s decisions leave them in terrible, possibly fatal situations. Jed really does want another chance to be a good father, but will he be open and honest enough to not drive them away again? If this comic teaches readers anything, it’s that secrets don’t make friends—at least, the dangerous ones. Risky secrets make enemies, isolate your family, and can turn lap dogs into raging beasts who will not think twice about eating you. The Jenkins family already had their dark family history to deal with before Jedidiah’s vision. With these new threats intertwining with the old ones, Zeke is now thrust into maintaining family loyalty that just might cost him everything. We’re left with enough cliffhangers to keep us waiting for the next issue. I’m so proud of Rob Guillory for gifting his storytelling skills to readers and the rest of the comic book industry. 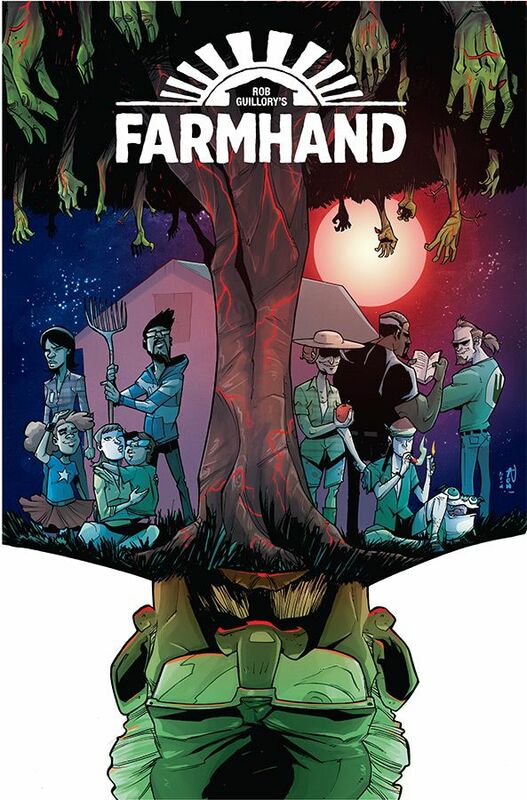 The Farmhand volume 1 trade paperback comes out January 16, 2019, and issue #6 hits comic stands on March 20!